According to the latest reports from Daily Mail as cited by Daily Record, Oliver Burke isn’t likely to have a future at West Brom. Accordingly, the Baggies are willing to listen to offers for the Celtic loanee. This is good piece of news for the Bhoys, but Crystal Palace are also said to be eyeing a move for this talented Scotsman. Burke has settled in well at Celtic after struggling for game time at the Hawthorns under Darren Moore. Now that Moore has departed from the club, Burke is now unwanted at the Hawthorns. Celtic should go all out to sign this winger permanently, and we feel the 21-year-old might himself prefer a move to Glasgow rather than going back to England. It’s true that the Eagles would be able to offer him much better wages but the winger might have to start again from scratch, and he would really have to fight for a place in the starting eleven. The 21-year-old struggled to get regular game time at the Championship level so we can’t be sure on how he will fare in the Premier League. Whereas at Celtic, Burke has looked at home and the £15m man started off brilliantly in January. His signing was met with a lot of scepticism as Celtic didn’t need a winger at that time, but Rodgers played it smartly by using Burke as the man up front. Even after Neil Lennon took over, the forward position is being rotated between Odsonne Edouard and Oliver Burke. The West Brom winger is likely to continue as the striker if Celtic manages to sign him for next season. The Scottish international has a terrific pace to burn, and he also has that physical side to his game which allowed him to settle in really quickly in the new position. We believe, he has the potential to hit the 20 goals mark if he leads the line regularly for the Hoops in the next season. However, Palace might be able to outbid Celtic if they want the Scotsman. That could mean the Hoops will have to shell top money to land this young star. Burke is yet to realise his full potential and he could be an absolute superstar for club and country in a few years time. 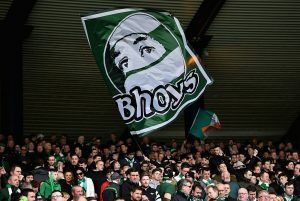 It remains to be seen though whether Celtic will be able to get their hands on him but the news regarding him being surplus to requirement at his parent club is positive for the Glaswegian giants. 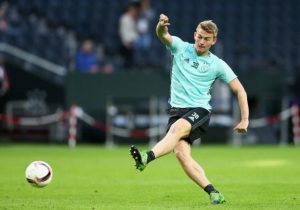 Celtic Drop Interest On 24 Y/O English Fullback Recently Linked With Them: Wise Decision By Rodgers? Celtic Close To Landing Another Exciting Manchester City Attacker: Can Rodgers Replicate The Magic?